ST. CATHARINES — Facing off against competitors from across the country, the campaign to Save Lock One and revitalize the area in Port Dalhousie that served as a lock for the Second Welland Canal ended up coming out on top in a National Trust for Canada competition. 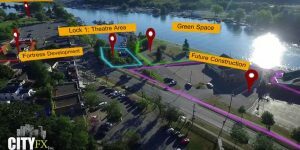 The Port Dalhousie Beautification and Works Committee (BWC) announced the news on Thursday through a post on its Facebook page. While voting closed at 6 p.m. on Nov. 15, BWC member Jeff Mackie said it was close right up until the deadline. “It got a little really crazy at the end. There was a lot of last minute bidding,” he said, adding that when voting ended, they weren’t sure of the results of the final tally. The Save Lock One campaign ended up edging out Montreal’s bid for offering affordable rental spaces to organizations offering proximity services linked to health, food safety, family, culture and the arts at Batiment 7 by 1,400 votes. “It was a little heart wrenching. There were definitely some hearts in throats as the voting closed on Tuesday,” said Mackie. While the BWC found out the final results on Wednesday, they weren’t allowed to make it public until the next day. Mackie said that made for a long night for committee members. Organized through the National Trust for Canada, the This Place Matters competition had two streams: City Beacon and Town Spotlight. Eligible projects were able to crowdsource funding online as well as collect votes daily. Donations were added to the project’s vote tally. Coming in first in the competition means the Save Lock One campaign wins $40,000 toward their project. It also gets to keep the money raised through the crowdsourcing campaign: $37,227. Constructed in the mid-1800s, the lock was part of the second Welland Canal and its limestone walls are still mostly visible. 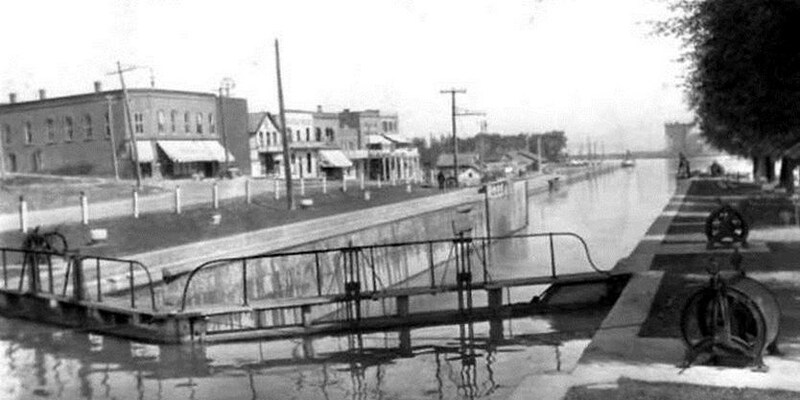 The BWC and Kiwanis Club are hoping to revitalize the area within the lock and bring a new public use to the space. For Mackie, the project has been one that’s personal in nature. The canal and its current state of deterioration was what prompted him to join the BWC in the first place. “The space has always been a sore spot for me,” he said, adding that he saw its deteriorating state as a wasted opportunity to mark its historical and maritime significance. After the formation of the BWC and a series of public meetings held in 2014, he learned he wasn’t alone in his thinking. “We listened to ideas from the community about ideas for Port (Dalhousie) and spots that needed some attention. The lock came up quite a few times,” he said. Realizing the project would require a lot of resources, BWC teamed up with the Kiwanis Club who has a lot of experience with larger campaigns like this in the community. Earlier this year, Bates and other campaign representatives presented designs for the revitalization project to St. Catharines City Council. Plans include ensuring the upper tier is structurally sound, replacement of stones, construction of tiered seating as well as a stage area. Bronze horse statues are also being proposed to commemorate the tow horses that used to haul ships through the canal. Three will be skeletons to represent the three canals, as well as the horses that died during their service. The fourth will be in full dress to represent the fourth canal and how it steamed into the future. The total price tag attached to the project is $625,000. When the Places That Matter campaign came along, Mackie said they anticipated having a good fighting chance. At the time though, Mackie said they hadn’t realized they would be pitted against large projects like the one in Montreal. To ensure they got the votes, he said they set out to engage the community through social media, as well as reaching out through their email distribution list. His family business, Mackie’s Harbourfront Market, also launched a campaign to match donations made in the store up to $1,000. Not only was that threshold met, it was doubled. “We ended up having $2,475 in donations come into the market,” he said. Port Dalhousie ward councillor Carlos Garcia said the success of this campaign is a great example of the positive effect volunteers in the community can have. “Volunteers are the backbone of our community and this is a project started by volunteers, driven by volunteers and will be a reality thanks to the work of volunteers,” he said. Garcia said it was great to see the community get behind the project but reiterated that work is not yet done. “They still need a lot more money to make this a reality. The fundraising efforts will continue but in the meantime this is good news and Port Dalhousie needs good news,” he said. Mayor Walter Sendzik also offered his congratulations to BWC and the Kiwanis Club on their winning effort. Bates hopes that winning the national campaign will help to bring more attention to the project and attract even more support. “We’re hoping it attracts more people with an interest in saving our history, preserving park space and recognizing the important role this placed in the development of Port Dalhousie,” he said. The group is currently in negotiations with the City of St. Catharines to get work started on revitalization efforts and Bates said they’re hoping work can get started on the first phase in the weeks to come. For project updates or for more information on how to contribute to the project look for the Save Lock One page on Facebook.